Donna L. Storer, 92, of Fort Wayne, Indiana, died at 10:12 a.m. on Wednesday, February 13, 2019 at Parkview Regional Hospital in Fort Wayne. Donna was born in Springfield, Illinois on January 23, 1927 to the late Ernest O. and Helen (Haggerty) Pontius. Donna worked as a part owner of Valley Grove Real Estate Agency and then as an agent for Bradley Century 21, both in Fort Wayne. 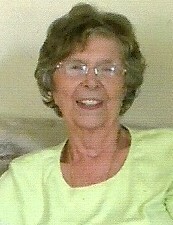 She was a member of the St. Joseph United Methodist Church in Fort Wayne. Donna is survived by sons, Jim (Janet) Storer, of Willoughby, Ohio, and Don Storer, of Rome City, Indiana; daughters, Cheryl (Dave) Strader, of Angola, Indiana and Cindy Clevenger, of Fishers, Indiana; grandchildren, Aaron Strader, Shawn Strader, Scott Storer, Sarah Storer, Jake Storer, Jeff Bender, Don Bender and Adrienne Moeller; great-grandchildren, William Strader, Elizabeth Strader, Joseph Strader, Brianna Strader, Christopher Strader, Jayla Watson, Jashon Carswell, Abby Bender, Charlie Bender, Eli Bender, Dylan Bender, Donny Bender, Brooke Moeller and Luella Moeller; great-great-grandchild, Khalia Sanders; and sister, Carol Ann Dossey, of Indianapolis, Indiana. Funeral services will be at 11:00 a.m. on Saturday, March 2, 2019 at McDonald Funeral Home, LaFontaine Chapel, 104 S. Main Street, LaFontaine, Indiana 46940. Burial will follow at LaFontaine IOOF Cemetery. Visitation will be one hour prior to the funeral service, starting at 10:00 a.m. Preferred memorials are to the Allen County SPCA, 4914 South Hanna Street, Fort Wayne, Indiana 46806 or donor's choice of SPCA.